month, the circuit’s organisers have been looking ahead to 2016. They can now confirm that a minimum of six teams will be participating, with more due to sign up to the foiling catamaran one design circuit over the winter months. 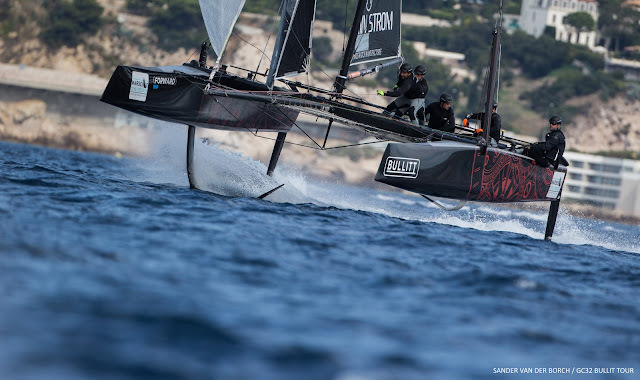 With a season running from May until mid-October, the 2016 GC32 Racing Tour will be held exclusively at southern Europe venues that offer optimum wind conditions in order for the ultra-high speed catamarans to spend as the maximum time foiling. ‘Sun, speed and spectacle’, will be the watch words of 2016 with teams able to offer a VIP experience to their guests in the most beautiful venues.